At night, we hear the coyotes in the hills. Probably there are only five or six of them, but it sounds like a dozen – some making the long howling sounds, and plenty of others adding the yip-yip-yip. Jezzy gets anxious, and seems worried. We’ve talked about freeing Jezzy to run with the coyotes – to express her wild side. Then, reality strikes, and we realize that any respectable coyote would laugh her out of the pack. 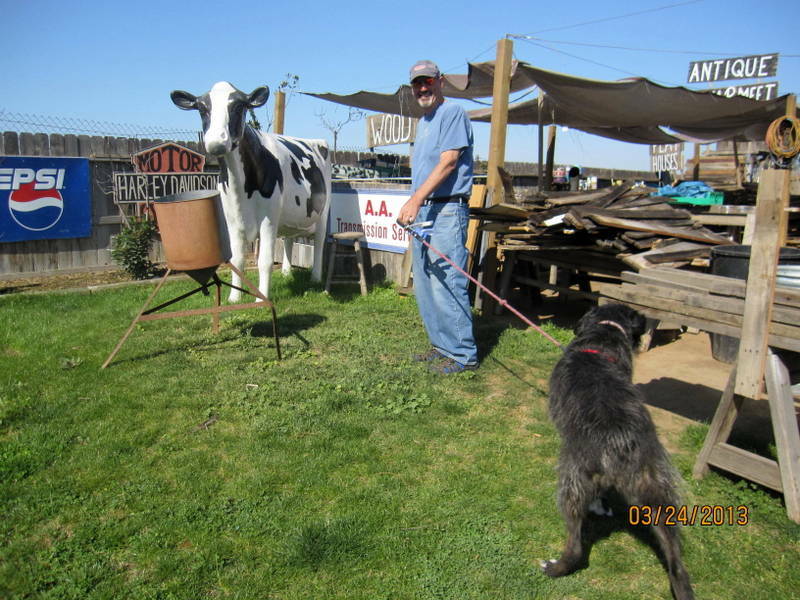 Check out the photo below – we discovered that, in addition to being afraid of shopping carts and plastic grocery bags, Jezzy is also afraid of large plastic cows. How did we wind up with such a fearful dog? Guess we’re stuck with her forever. Lucky for us. 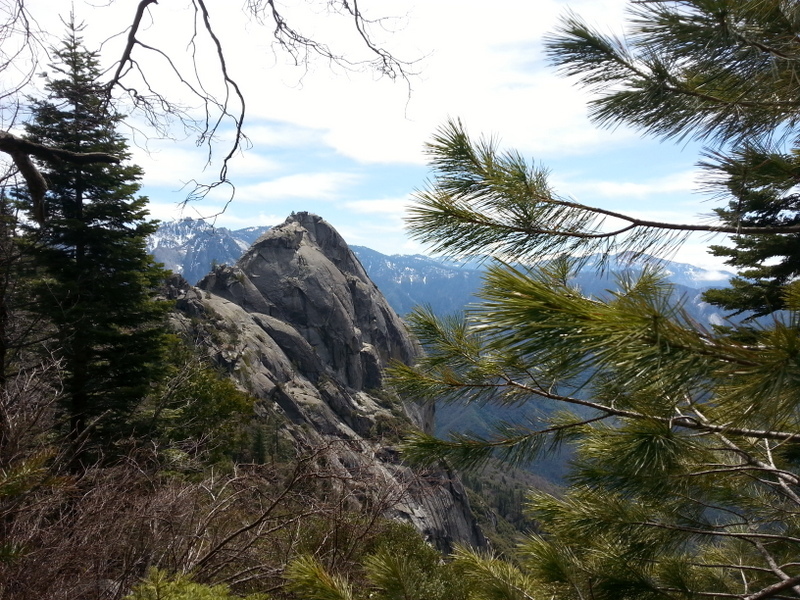 We went back to Sequoia NP today for a hike to Moro Rock. This hike wove us through groves of the giant sequoias, then to a large domed granite rock that juts out into the valley below. 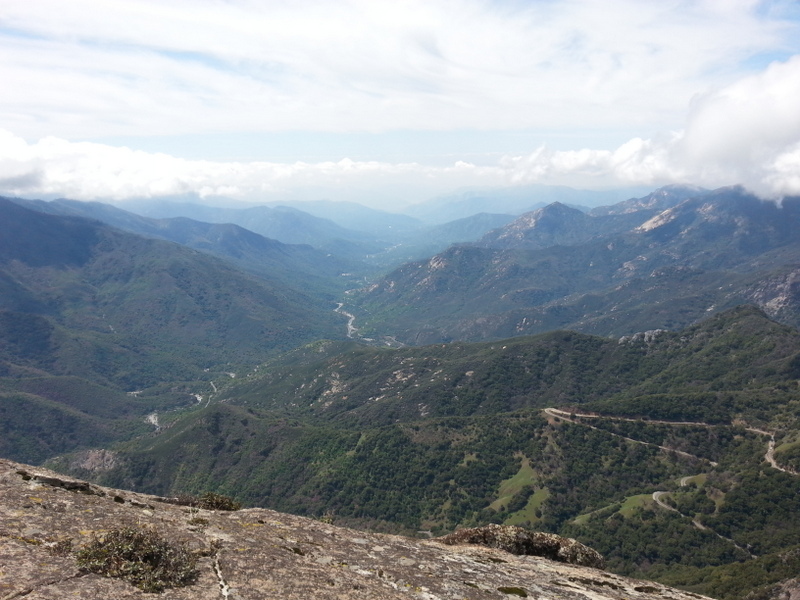 The peak of Moro Rock (center of photo) was our hike destination. What was a pleasant walk in the woods quickly turned into a test of nerve. The last few hundred feet are narrow steps leading out to a point on the rock with breathtaking views. Not for the fainthearted, or anyone with a bit of acrophobia. Wow. Wow. Wow. It was stunning. We could see a bit of fog rolling in, but didn’t pay much attention, as we took in the 360 degree view of the valley, and the snow-covered mountains to the east. As you can see, the twisty road into Sequoia is not great for those of us with motion-sickness issues. As we continued our hike, the mist rolled in, and the temperature dropped noticeably. Once again, we were the only hikers on the trail. By the time we reached the truck (a round trip of just under 5 miles), the fog was thick. Driving down Highway 198 back to camp was NOT fun. Heavy fog/mist makes the drive down challenging. 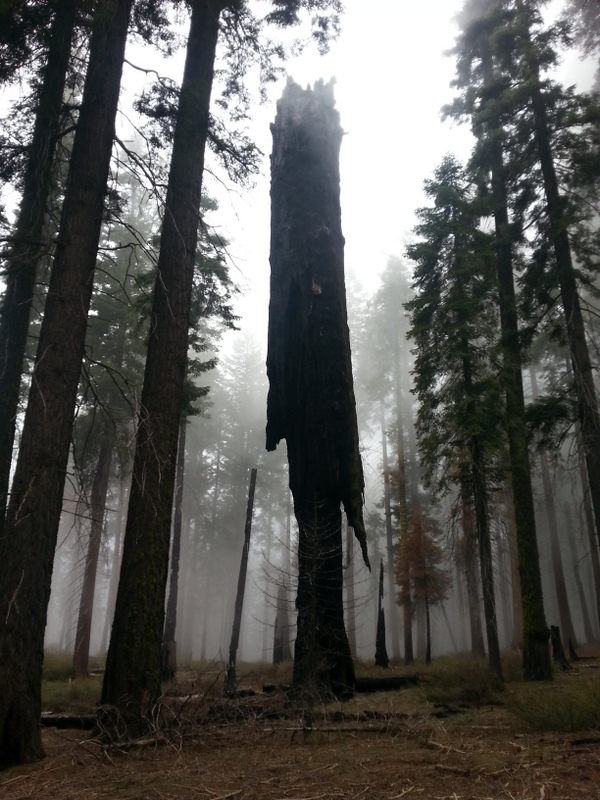 So, hopefully the photos will help explain what a magical place Sequoia NP is. We cannot wait to return. Tomorrow, we’re breaking camp early, heading to Bakersfield for a day of laundry, truck and Fireball cleaning, and personal hygiene. We’ve had some really dank bathrooms and showers for the last several days, and are looking forward to some pampering with clean facilities, clean clothes, WiFi, and cable TV. (update….we’re here, and the orange trees are blossoming. The scent is unbelievably sweet). Then, on to Joshua Tree NP for two nights, then on to Prescott for a couple of nights with our new T@B friends Lori & Cindy. After that, the Grand Canyon! 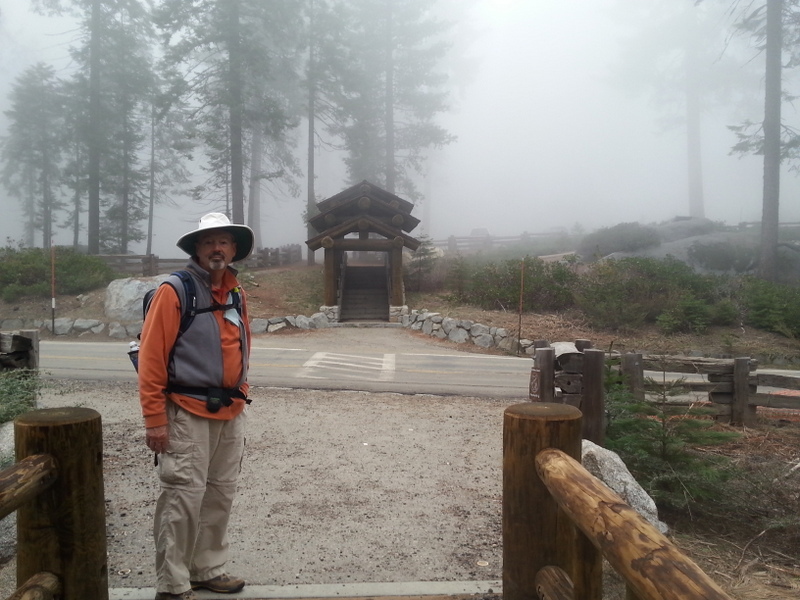 This entry was posted in California, great outdoors, hiking, national parks, retirement, Sequoia, simple camping and tagged California, hiking, national parks, snow, the great outdoors by Judy Crankshaw. Bookmark the permalink.